If your old IKEA - SANDBY sofa has already lost its former splendor and glory, you probably should think about restoration these two features to life. You can do it with Soferia unique, and very elegant replacement slipcovers, which we would love to provie you with. Most of the materials used for making the slipcovers show a very demanded property of hydrophobicity. This feature lets you for an accidental pouring your favourite afternoon tea at the sofa, and if you do so, the liquid will not soak into it. 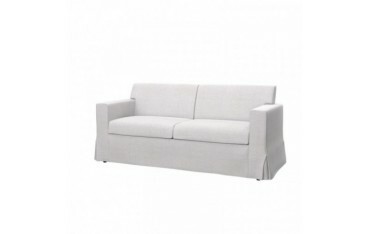 The IKEA replacement slipcovers for the SANDBY sofa model are available in two variants, for a two-seat and a three-seat sofa. Feel free to ask for samples of the materials before you buy the proper slipcover. We will be happy to send these samples directly to your home! 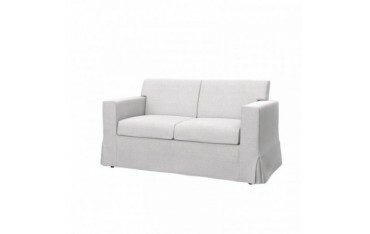 After that, choose a perfect slipcover and give your IKEA - SANDBY sofa a brand new life! Pay by card, bank transfer or paypal, so that you will soon be able to enjoy almost a new sofa which will please your eye and change the whole interior!